The preparations for Shah Rukh Khan King-sized birthday party have been set in motion. Shah Rukh's family and friends were spotted leaving for their Alibaug property for a quiet but fabulous birthday celebration away from the city hustle-bustle. 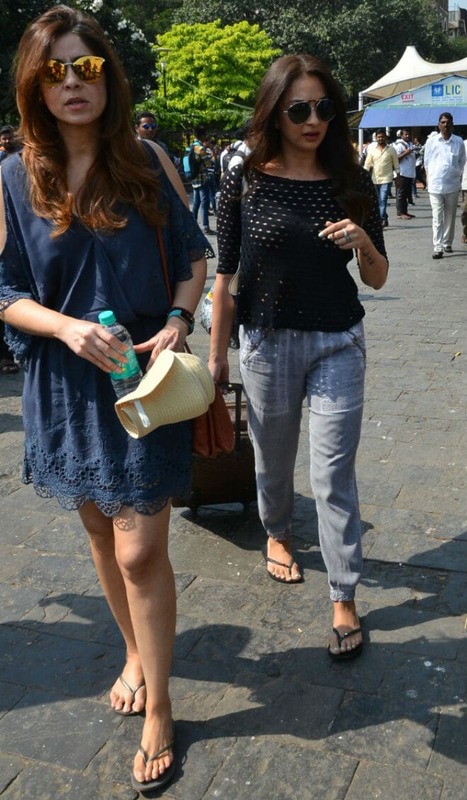 Suhana took off with Sussanne Khan and Anu Dewan from the Gateway of India, Mumbai,. Suhana rocked a Givenchy tee and hot pants while Sussanne wore denim capri with a peplum top. 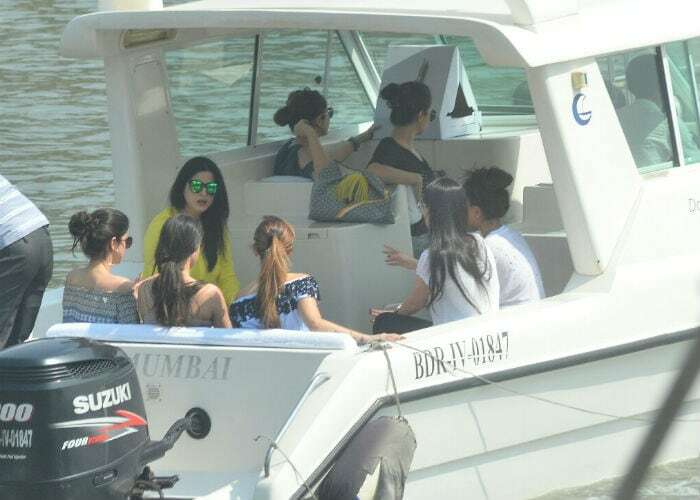 Before Suhana, her mother Gauri Khan left for Alibaug with Shweta Bachchan Nanda and designer Vikram Phadnis. Gauri was spotted in checked culottes and matching top with her family members. Shweta Bachchan Nanda was also spotted in striped tee with white pants. Bhavana Pandey and Maheep Kapoor along with their daughters Ananya and Shanaya were also there. We also spotted Seema Khan at the dock. Actors Alia Bhatt, Anushka Sharma are also reportedly in the Khan's guests list but they will apparently be choppered to the venue. Earlier this month, Shah Rukh and Gauri took a small party to Alibaug for the celebration of the 26th wedding anniversary. 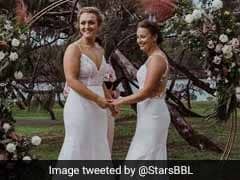 At that time, Suhana and her friends Shanaya Kapoor (Sanjay and Maheep Kapoor's daughter) and Ananya Pandey (Chunky and Bhavana Pandey's daughter) dominated the scene. Suhana, Ananya and Shanya at the Gateway Of India. 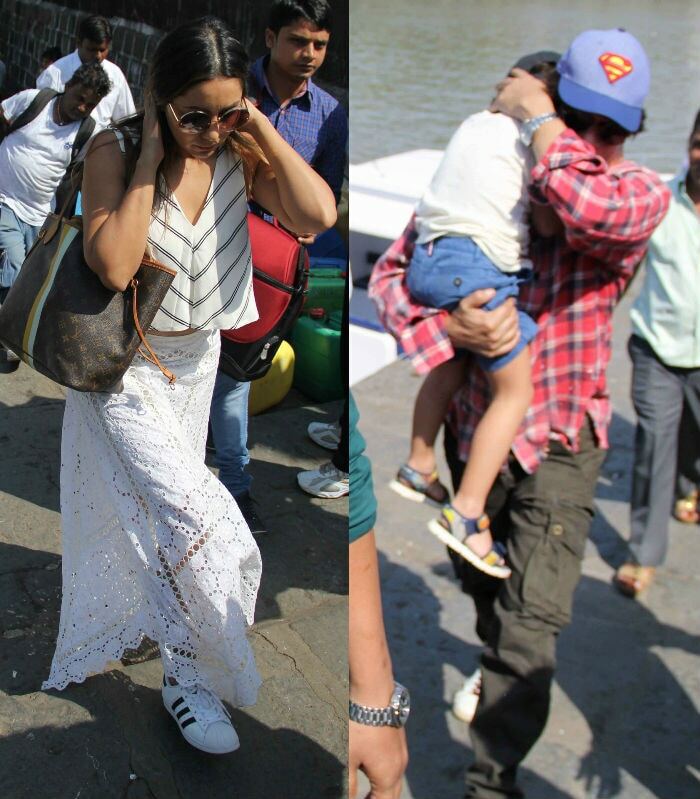 Gauri (L) and Shah Rukh with AbRam in Mumbai. Shah Rukh Khan will be 52-year-old tomorrow. The actor was last seen in Jab Harry Met Sejal and is now making a film with Aanand L Rai, in which he co-stars with Anushka Sharma and Katrina Kaif. The actor's first release of 2017, Raees, was a hit while Jab Harry Met Sejal tanked at the box office. Shah Rukh Khan is married to Gauri Khan, who an interior decorator. They are parents to 19-year-old Aryan, 18-year-old Suhana and 5-year-old AbRam. Aryan, who is studying in California, will give the party a miss while we hope to get a glimpse of Suhana and AbRam. Shweta Or Amitabh Bachchan, Who Captioned Dad-Moment Pic Better?